Medicine was extremely important in this period. Disease and illness were so common that nearly 50% of all children would die before they reached adulthood. Not only was there plague, there were Smallpox and Tuberculosis, as well as general infections and common ailments such as cold and toothache. 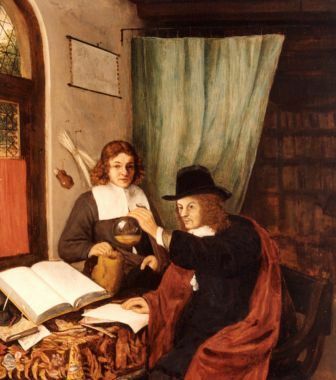 Usually, physicians (doctors) would offer diagnoses for illness, while the apothecary (pharmacist) would prepare and sell the remedies for general ailments and wounds, and surgeons would remove limbs and perform operations. There were no painkillers, other than alcohol or opiates, and treatments for illness were sometimes based on superstition or, more commonly, a good knowledge of herbs. This is an image of a patient and his physician casting his water. One way in which people could check for illness was water-casting. This was when a physician would check the urine of a patient and make a diagnosis accordingly. 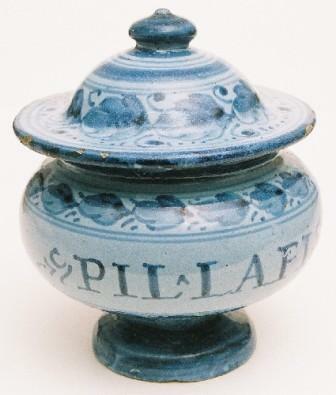 This is a picture of an ointment pot. Oils and topical solutions would be kept in jars such as this to keep them safe. (…) Doctor, the thanes fly from me. I would applaud thee (…). Would scour these English hence? Why do you think Shakespeare chooses wounds and medicine as metaphors in this passage? Do you think it’s the best way of describing Romeo’s situation? This entry was posted in 2012 Exhibition and tagged Elizabethan medicine, medicine, Medicine chest, physic, Shakespeare.